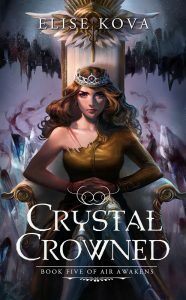 For Crystal Crowned I received an e-ARC and I was so happy when I received it! I remember coming home and seeing the email. I did not have to wait for the physical copy like with Water’s Wrath, so I could start immediately. Which I did and I stayed up until about 4/5, but unfortunately I still had to do some things the next day, so I couldn’t finish it. After I came home the next day though, I sat down and finished it. My god… I was really tired, but on the one hand I was really happy, on the other hand I was really sad. It was over. I received this book from the author but all of my ideas and opinions are my own. In this book you travel throughout all of Solaris. It starts at the most horrible moment right after what happened in the previous book. Our hero’s are still alive, but they don’t know where to start. Until they decide to fight. They travel East to visit and old friend, afterwards they go West to strategize their retaliation, only to travel South for the actual battle. As the only Windwalker alive, one who has also lost her powers, a lot of pressure lies on Vhalla, but she is never alone in her head. All of the books worked towards this end, and again Elise manages to grab me and never let me go. Elise writes fast pased books, and a lot happens, but something that she does well is the fact that I never loose sight of where I am. I’ve had this happen in plenty of fast pased books. The flow of the story is great, one of the reasons you can just read on in one go if you have the time. 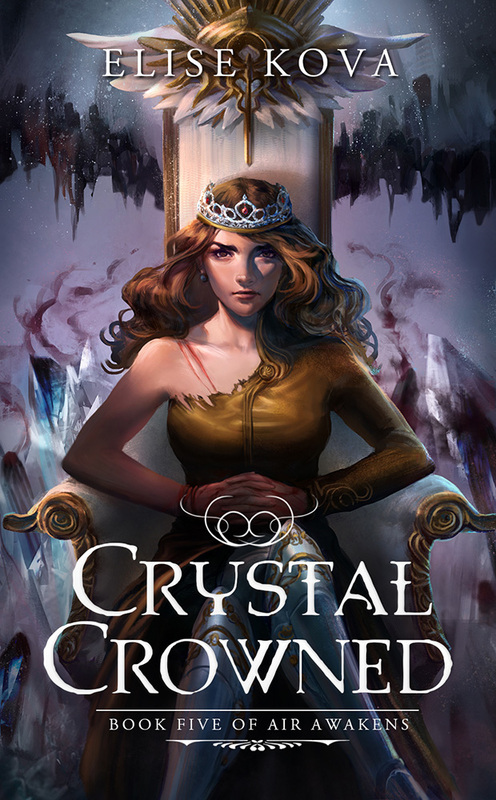 Everyone grew up in Crystal Crowned. They are the ones that have to fix this war and this country. They can’t hide behind anyone anymore. Do they want Solaris back? Then they’re going to have to grab it with their own hands. You notice this shift in all of our heroes, but especially with Vhalla and Aldrik. Before they can be together they have to fight this last battle. Vhalla has changed the most throughout these books, she changed from a quiet booklover into a smart warrior, a true queen. Of course she still makes her mistakes, but that is what makes her keep her humanity. Aldrik became a lot more open because of Vhalla, and this will make him into a better king. Merzilla-Chan has certainly done her best again. No more hiding, Vhalla looks directly at you, she knows who she is and she is not afraid to show it. What I also love about this cover is that it has two sides. If you buy the hardcover you can take the dustjacket off and then you’ll have a lovely picture of the king and queen. The ending and the epilogue are very satisfying. But Elise gives us that final twist at the end that makes you go: hang on, but what’s gonna happen now? I am really hoping that she’ll write on, but I think she’s done. 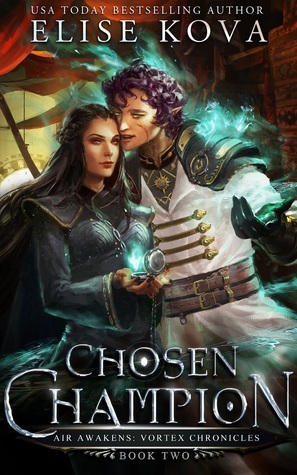 What she is writing at the moment though, besides Loom is prequels with the Golden Guard. Baldair T.T Book one has already been release and it is great! I’m really happy that we’re not completely done with this world yet. Thank you Elise for such an amazing series! If you want to start this series, please do, you need this in your life. One bit of advice though: buy them all in one go. Because you can’t live with some of the endings. 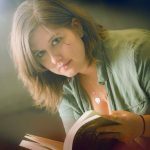 This entry was posted in Air Awakens Weeks, Review and tagged Air Awakens, Crystal Crowned, Elise Kova, Silver Wing Press.